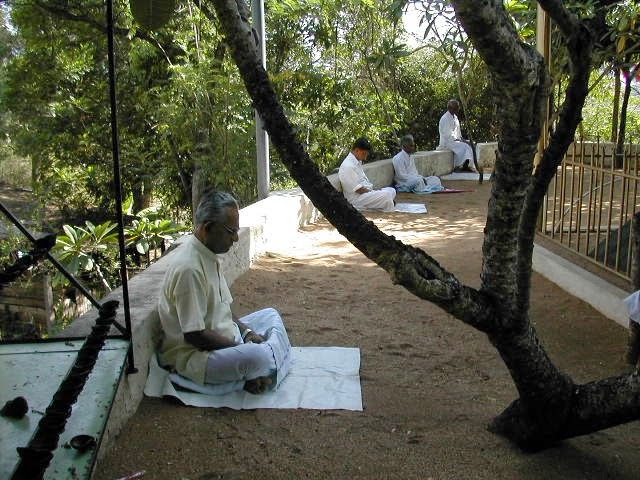 Pallekelle Devenapatis Samatha Vipassana Meditation Centre has 14 day retreats beginning every following day after the Full Moon each month. In order to follow a retreat at the Centre please write to the following address or give a telephone call to the Centre to find out whether the Centre could enrol you for a meditation retreat. Please givie the month and the year in which you hope to do a retreat. A meditator takes a precept not to take any untimely meal, therefore the Centre will not provide you with anything to eat after lunch. You have to wear white clothes during your stay at the Centre. 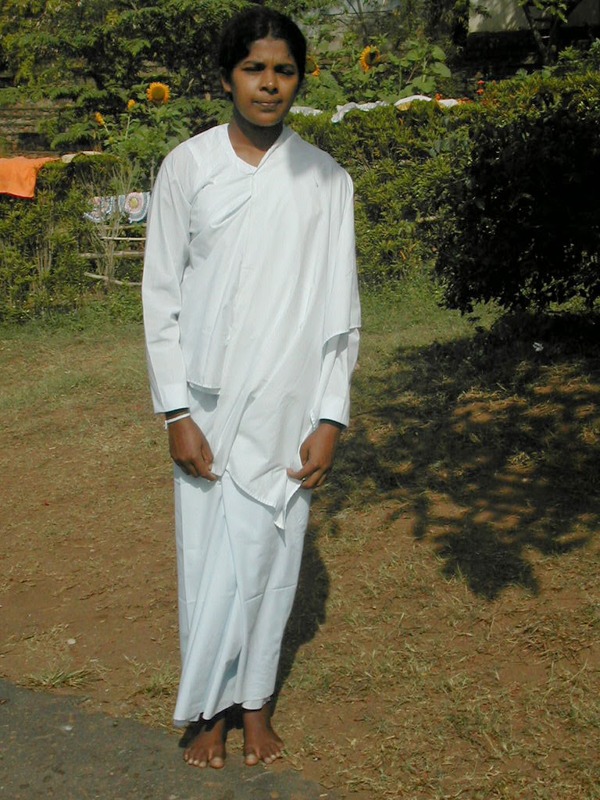 Your dress would therefore be a white blouse/shirt, a long white cloth wrapped round the waist falling up to your ankles (Sarong or Lungi), or a comfortable long and white pair of trousers. 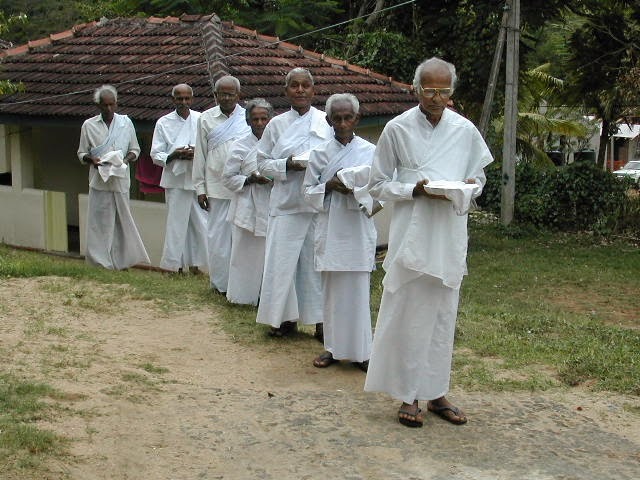 You will put a white cloth around your upper body. A square or rectangular piece of cloth will be handy to put over your food which will be served in to your plate at the dinning hall. A thick serviette will be useful to spread on the ground to sit down, or to spread on the ground when you pray at the Stupa or the Bodhi tree. Take a serviette( a bath towel), a bed sheet and a pillow cover. A torch and an umbrella will be useful. Eucalyptus spray may help to drive away the mosquitoes. Also do not forget small personal medication for unexpected cuts and bruises, headaches or mosquito bites etc. When you arrive in Sri Lanka you go to Kandy. 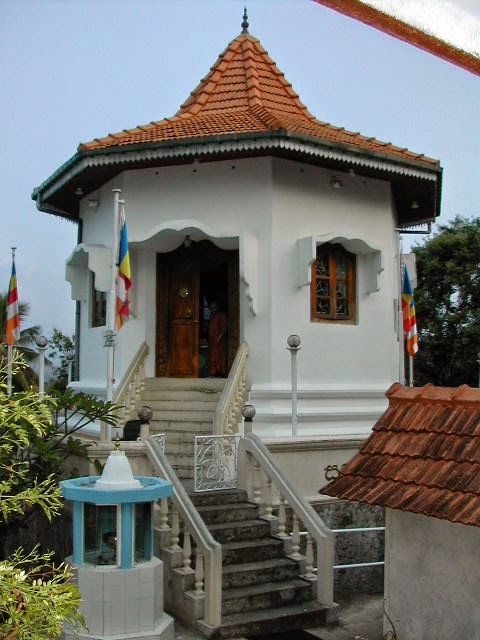 In Kandy there is a bustand by the side of a Clock Tower. 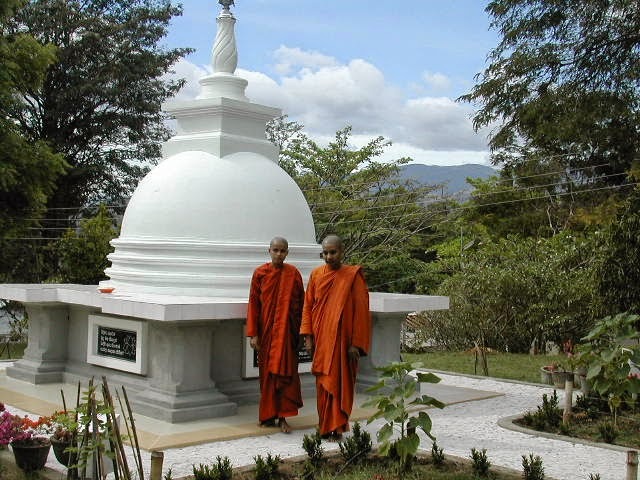 From there take a bus that goes to Kundasale, or Digane, ask the conductor in the bus to drop you at the Gam Udawa to go to Pallekelle Samatha Vipassana Meditation Centre. Be careful of any volunteers who may offer to help you. The direction to the Centre is indicated on sign posts near the bus stop. If you have been informed that you are enrolled for a retreat, and arrive at the Centre you will be asked to attend a meeting with the Manio in Charge of retreats. You will first be given a key to your Kuti. Thereafter there will be an introductory talk where you are informed of the discipline expected of you, and the conduct of meditation during the retreat, how you should take your meals, how you should be dressed and your attendance to the daily programme. 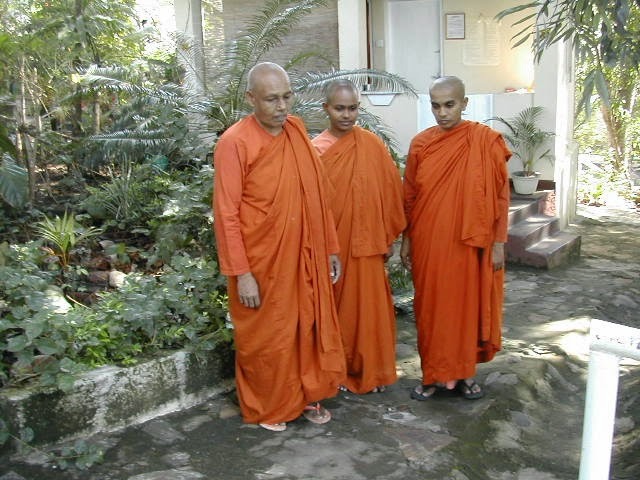 The meditators present will be divided into groups and each group will be put in charge of a Manio. She will be your teacher, spiritual friend and meditation instructor through out the retreat. Thereafter you will meet your teacher every morning after breakfast. 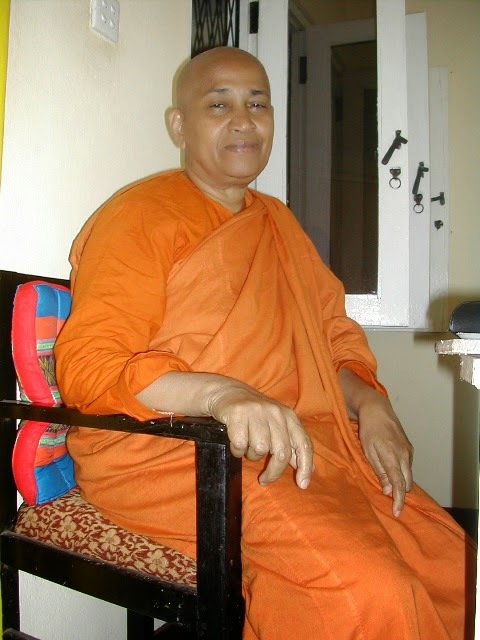 Dhamma talks are normally in Sinhala and there are no discourses delivered in English. Your primary interest is in meditation and therefore you should devote your time for meditation. Normally if you are a keen meditator you will do 8 to 10 hours of meditation per day. That would leave little time for you to listen to discourses, read or write. It would not be an ordeal- a trying experience , believe me it would be a great joy sitting for meditation after the preliminary initiation. Extending a retreat or cutting short a retreat is a matter you should discuss with your teacher once you have been admitted for a retreat. 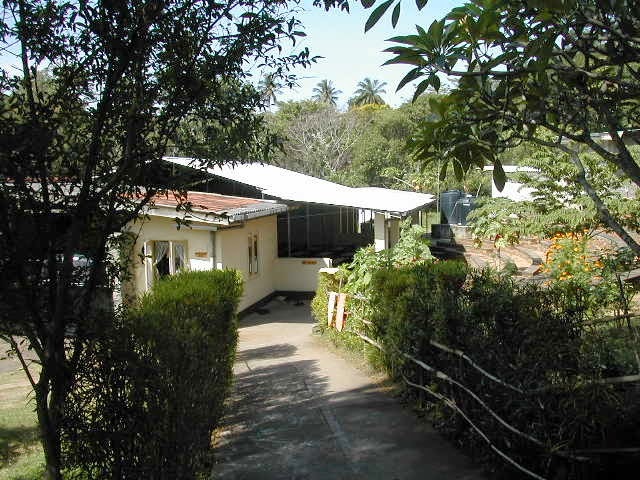 The Centre has no internet facilities. Therefore it is best you write to the address given above. If you would like to get meditation instructions in English, please telephone the office and ask for the telephone number of Venerable Dhammadinna Manio. The Nuns in the Office are very kind and will help you with any further information. If you speak to them in English please speak slowly and distinctly, as not all of them are fluent in English. I am always at you disposal for any more questions on retreats. 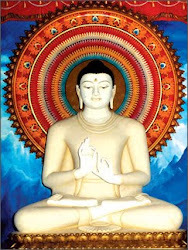 Wish you a very happy Meditation Retreat in Pallekelle Devenapathis Samatha Vipassana Meditation Centre. Name: First Name……………….Last or Family Name:…………………. Month..................and year........... when you propose to attend the Meditation Retreat. Number of Persons accompanying you. Each person should fill a separate form. Hospitals and Doctors are far away from the Centre , therefore the Centre cannot accept and take responsibility for any one with an illness that requires regular medical attention. Applications should be from those who are interested in meditation as an extension of a Buddhist religious practice or interested in Buddhist Teachings and expect to experience mental development in Meditation. It should not be for an investigation of its value as a religious practice, or for an ultimate use for any commercial purpose. 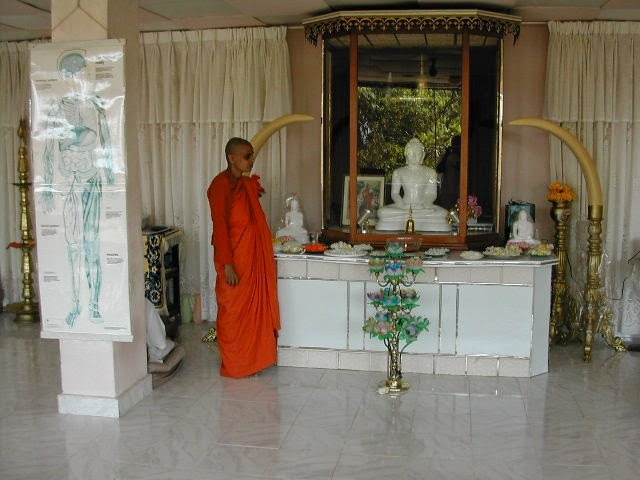 The month ..............during which you propose to attend a Meditation Retreat is unfortunately complete, but the Centre would be pleased to accept you for a Meditation Retreat during the period……….to……..of the Month of……………, 20…….. If it suits you please confirm your acceptance, and be present at the Centre by 3 PM on…………….. If not please request for another alternative date. The telephone number of the Center is: 08 12 42 00 50. The Instructions for a Retreat at the Centre is attached. 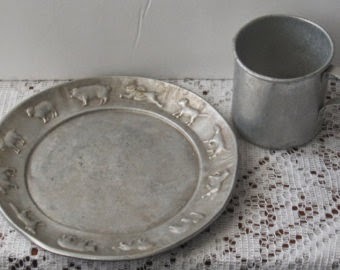 Please read the page above in the Blog for details.